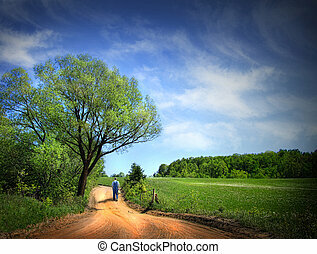 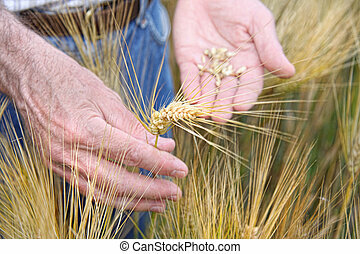 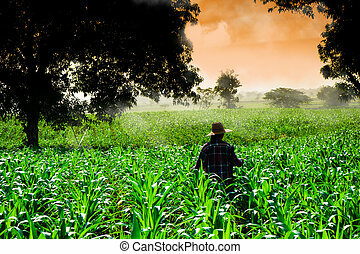 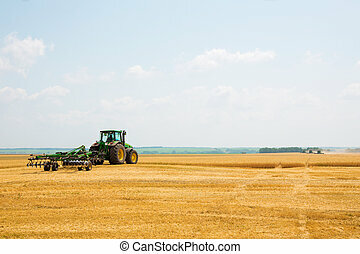 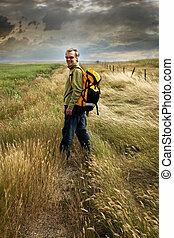 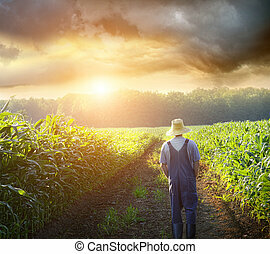 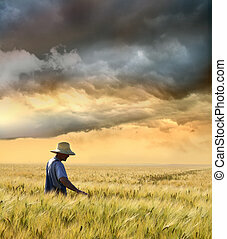 Farmer walking through a wheat field. 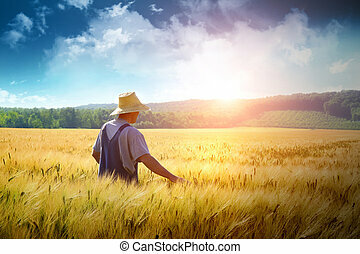 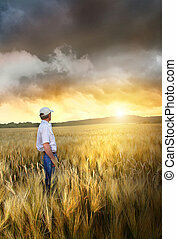 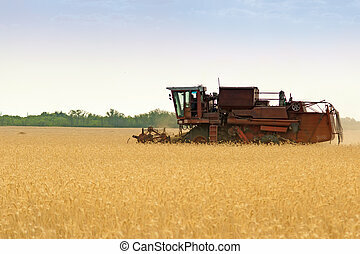 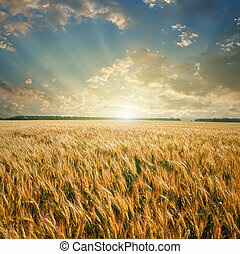 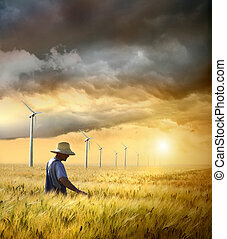 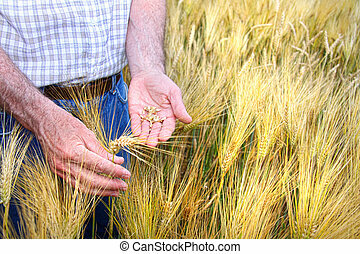 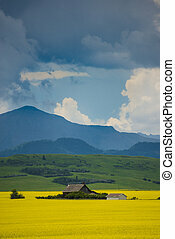 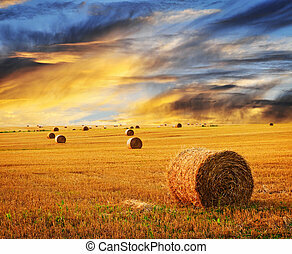 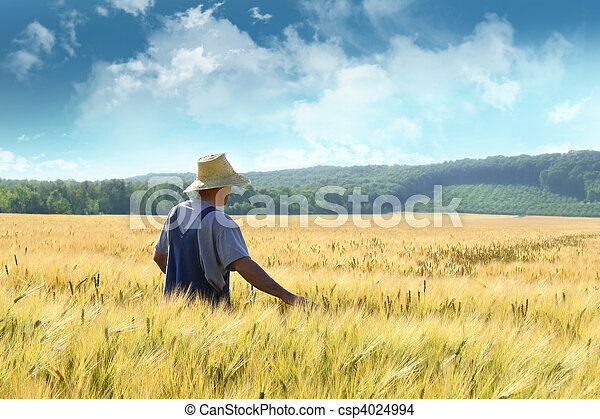 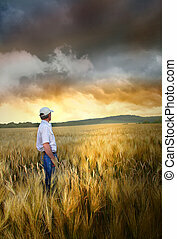 Farmer walking through a golden wheat field. 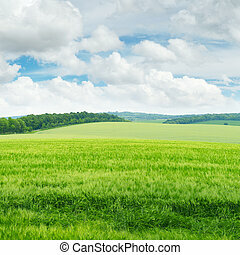 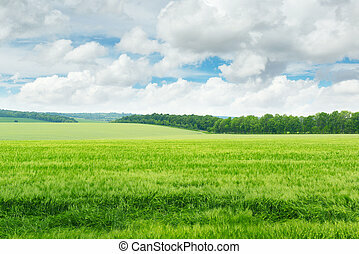 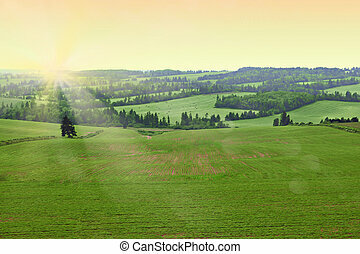 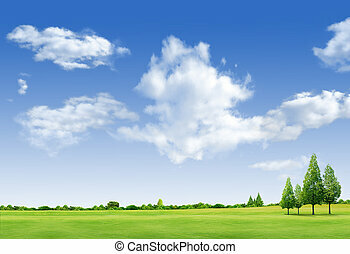 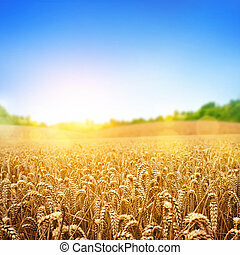 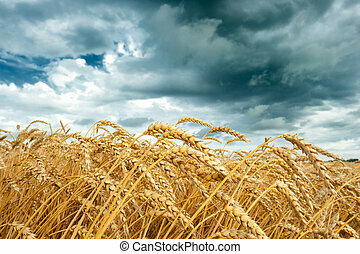 A wheat field, fresh crop of wheat. 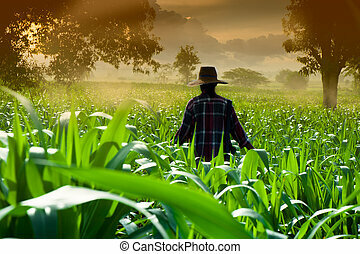 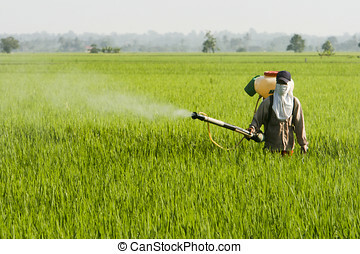 A farmer working at paddy field in Sekinchan, Malaysia. 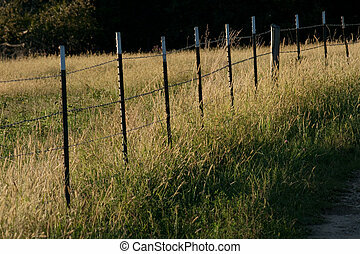 A fence row along a hay field.